One of the telephone boxes outside the British Legion has recently been fitted with a bespoke built Bakelite telephone unit which works in conjunction with a 10″ video screen (powered by our VideoClip-HD). The phone is programmed to activate a series of videos that had been filmed regarding the history of Frensham Parish and areas of importance within the village. Frensham Parish Council have been working on an exciting project for a number of years now named the ‘Frensham Phone Box Project’, which was awarded a grant from the Heritage Lottery Fund. 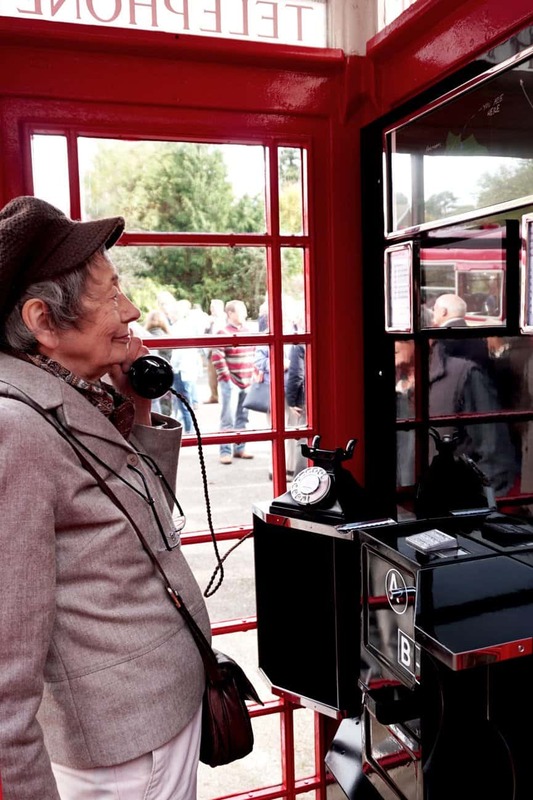 The project involved giving three red phone boxes around the parish a makeover by turning them into a mini-museum, gallery and a visitor’s centre respectively. The local community were involved with many aspects of the project by submitting their memories and stories for each of the phone boxes which have become a unique way to preserve the village’s history, while representing the best of British design through the iconic red telephone box which was supplied by Unicorn Restorations. One of the telephone boxes outside the British Legion has recently been fitted with a bespoke built Bakelite telephone unit which works in conjunction with a 10″ video screen (powered by our VideoClip-HD). The phone is programmed to activate a series of videos that had been filmed regarding the history of Frensham Parish and areas of importance within the village. Visitors are able to use the telephone provided to dial a number which activates a video on screen, with audio being delivered through the phone itself. The project has allowed Frensham Parish Council to not only preserve their red telephones boxes but also use them in an ingenious way to share the Parish history with future generations.